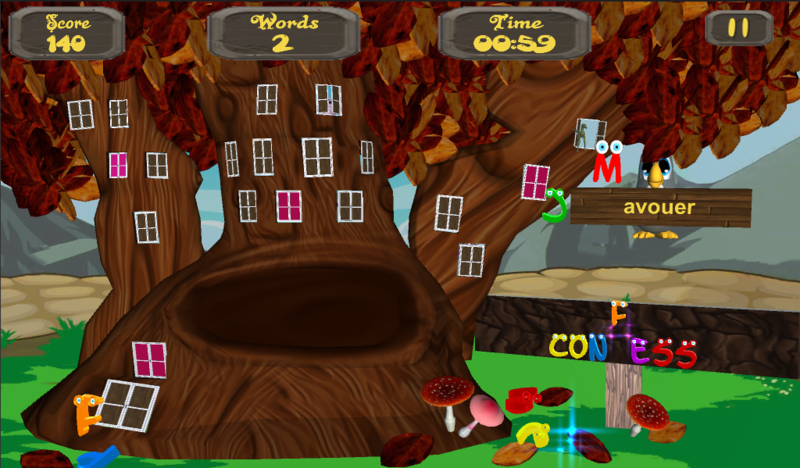 Brainy Tree is a simple, addictive word based game which helps to improve vocabulary with fun. 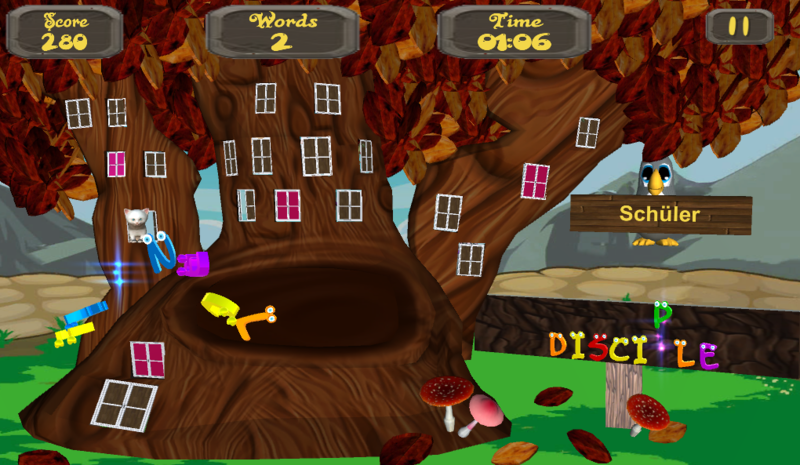 In this game tree has windows in which cow & other animals stay to help the player by dropping alphabets. 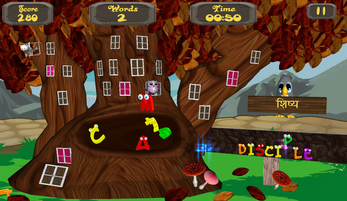 The player has to pick those alphabets to complete word which shown on board within a time limit. After word completion, meaning of the word gets displayed on the screen which is available in Hindi, Japanese, French, Spanish, Russian, German, Italian language. 1. 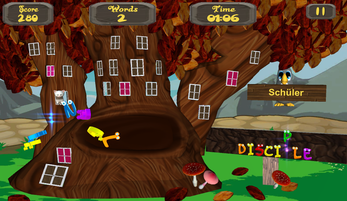 Firstly Player has to select the language in which they want meaning of words. 2. After that for each level player have target to complete some words within the time limit. Word count & time limit is different for each level. 3. 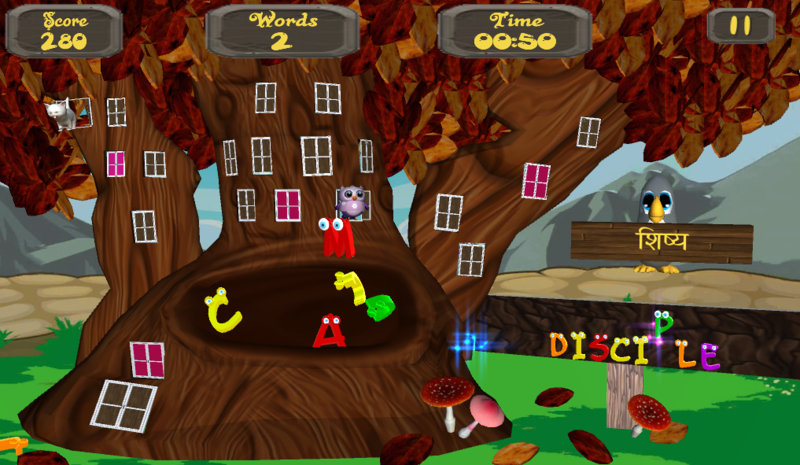 Animal pops out from windows of tree & drops different alphabets continuously which helps the player. 4. Player has to pick those alphabets to complete word. 5. 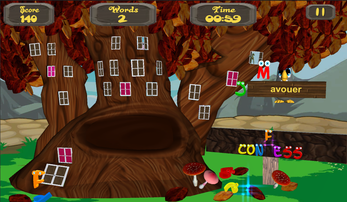 After word completion, the player is able to see meaning of word. 1. Meaning of words is available in Hindi, Japanese, French, Spanish, Russian, German, Italian language.